Maddie & Tae are an American country music duo that debuted in 2014 it the EP Maddie & Tae. Girl In A Country Song was their debut single; in it, they critique the "bro-country" trend in country music, particularly the way that major male stars portray women in their videos. The song references lyrics from specific artists and songs, and says, "We used to get a little respect / Now we're lucky if we even get / To climb up in your truck, keep our mouth shut and ride along / And be the girl in a country song." 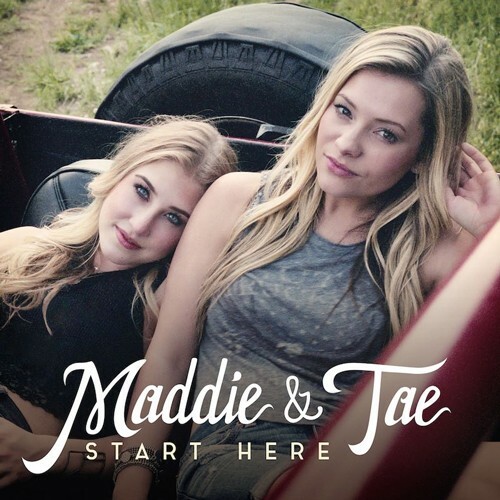 After 23 weeks on the charts, the song reached #1 on the Country Airplay chart in December, 2014, making Maddie & Tae only the second female duo ever to reach the #1 spot, and was certified gold by the RIAA. Notes for Parents: Although the lyrics of this song are suitable for all ages, the issues about how women are portrayed in the music industry, and especially the specific references to other country songs, will be most understandable to girls aged 10 and up. The music video does include some suggestive wardrobe for the purpose of showing how women are typically styled in bro-country videos; it also includes people drinking beer. Otherwise, it is suitable for all ages.